A lot of animators and artists like to compose videos and what not from Carl Sagan’s vast body of work awesomeness… this is one of the better ones we have seen lately. but seriously… keep these coming. Thanks for stopping by Philosophical Swag! Stay tuned for more content all the time! Hey everyone, just wanted to check back in now that its 2013! Hope everyone has a wonderful February! 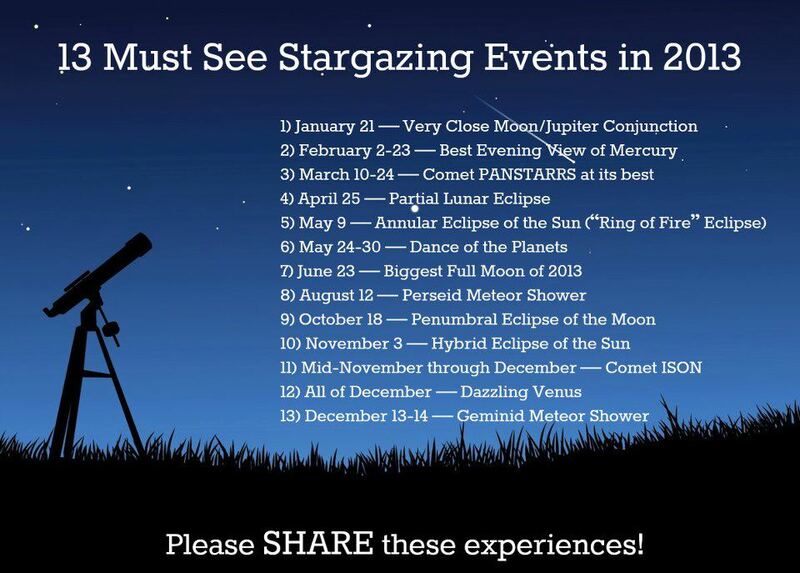 If you get a chance check out these great stargazing events throughout the year! ___For those graduating soon or considering a career in International Relations, I suggest you attend a U.S. Department of State information session. Any information session can be a little tedious or terrifying (depending on your résumé,) but there are always some positive new approaches to learn about and leave with. Regardless, I guarantee you the Diplomat-in-Residence will tell you to read the infamous New York Times and the old-school foreign affairs weekly the Economist. Across the board these two sources are championed as key assets in anyone’s preparation for the cray-difficult Foreign Service Officer Test. I am not disputing their value… it’s pretty safe to say that both publications are great tools for anyone trying to learn as much as he/she can about international affairs while also trying to maintain something resembling a social life. ___For a recent assignment in a Rhetoric course, I was tasked to analyze the rhetorical function of the graphic elements (charts, maps, infographics) of a recent news article. 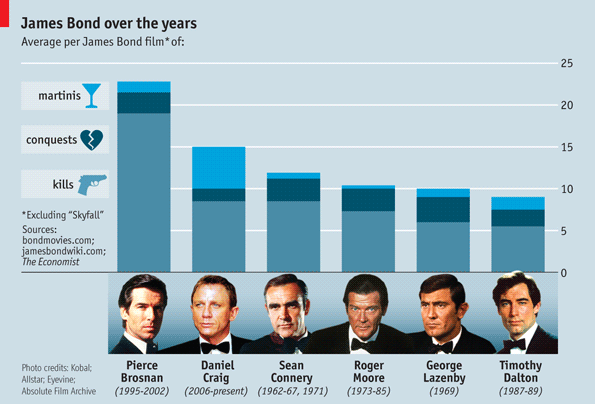 I choose one from the Economist’s Daily Chart webpage. ___I choose the Economist Daily chart article titled, “Money, votes and imponderables: A map of swing-state campaigning” because it is another great example of ways the Economist is (and has been) reinventing its online presence in a more interactive way. While this map isn’t necessarily interactive in that you can click features, it does strongly reinforce certain things the paragraph-long piece informs on. ___The infographic also reinforces political stereotypes (like red equating republican and blue equating democrat). The infographic, or map, or whatever one would like to call it, adds an extra element and does a great job illustrating the candidates participation in the election, adding a visual display showcasing President Obama and Governor Romney visits to only a handful of states. 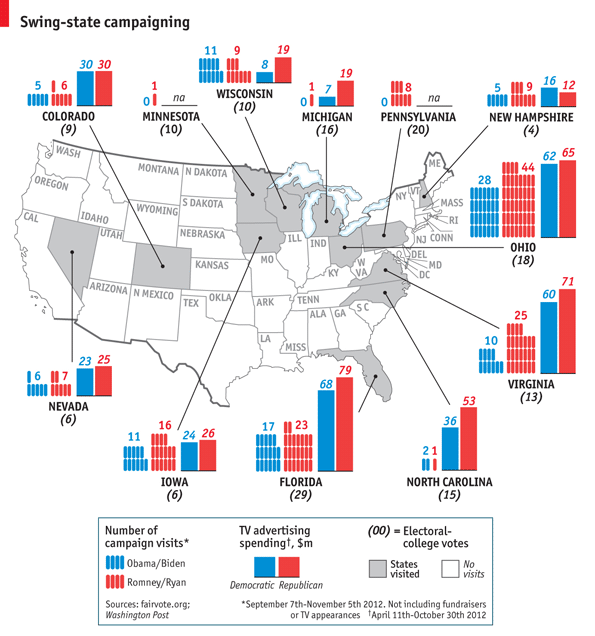 It also brings an added level of rhetorical potency to the Economist’s argument; that swing-state campaigning is a big deal in the American political game. ___Another key facet of this news-reporting decision to include something other than text is that this infographic does just what its title hints, it informs the viewer in ways that dry number recitation may not be able to do. If you check the graphic it’s pretty clear that Romney/Ryan both visited and outspent the Democrats in a multitude of swing-states across the map. By illustrating this with higher bars across the map, the Economist ultimately appeals to my generation and people in general. These are people who may not necessarily enjoy reading long-wonky articles about the individual state statistics and find themselves a more visual interpreter of data. Joss Whedon on Mitt Romney and the Potential Zombie Apocalypse! On October 28th, 2012, critically acclaimed, Hollywood director, Joss Whedon published the “Whedon on Romney” Youtube video seen below. With already more than 6 million views before Tuesday’s upcoming election, it’s fairly safe to say Whedon’s satirical video has made its rounds across the World Wide Web. According to YouTube’s wonderfully helpful Statistics feature, the video’s primary demographics were men and women aged 45 to 54 years old. This election will be one of the most expensive elections ever embarked on and with silly videos like this zombie-themed-one, we can all laugh a little while also shuddering at the concept of a possible doomsday scenario. Whedon’s Halloween gift to the Internet community cleverly allows him the opportunity to present his political opinions in the fairly unsurprising way the mind behind Buffy the Vampire Slayer, Firefly, and the Avengers most likely would! Either way, be ready to be hit by the last barrage of mail, commercials, and social media updates about the upcoming election on Tuesday! Make sure to vote and seek out the necessary background information on all the local and state level candidates not just the few presidential ones! Compton California native and 25 Year Old, Kendrick Lamar, an up and coming American hip-hop recording artist will be releasing his first major studio album “good kid, m.A.A.d city” on October 22, 2012. 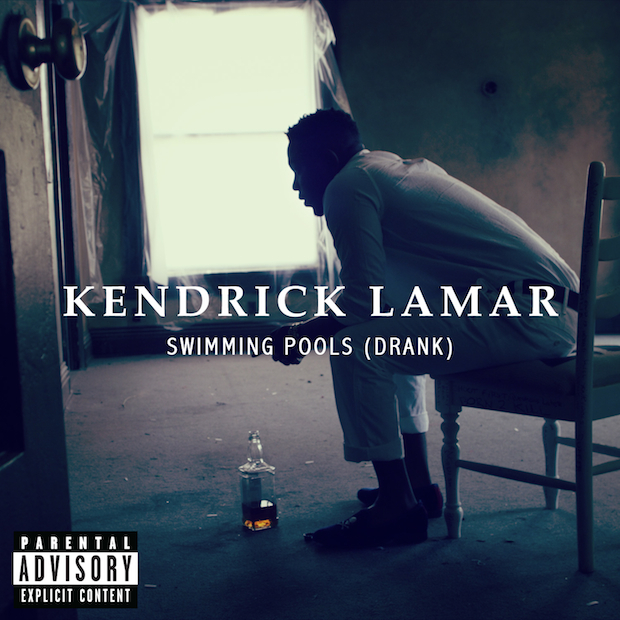 His new single, Swimming Pools (Drank) has officially received video treatment and garnered much attention. The reminiscent, alcohol fueled track dropped on July 31, 2012 in the form of a digital download and can be seen below in its official music video format. Kendrick raps about the highs and lows of alcohol consumption while particularly pointing out how people in his age group seem to bent on typically drinking excessive amounts of alcohol. Why you babysittin’ only 2 or 3 shots? The hook of the Swimming Pools basically points out the flaw in his audience’s general mindset about alcohol. He delivers a very subtle, veiled message to his fan base critiquing how nobody seems to be casual drink anymore and that the people who fill the clubs and parties across America are typically bent on drinking to get wasted. Kendrick raps alone throughout the video. While describing his feelings and relationship towards drinking, the music video gives off an eerie dimension-bending feeling. The video starts off with the hook playing while a flailing Kendrick falls through the sky until he stops in mid-air while bottles continue to break by connecting with the ceiling. Kendrick explains his personal history with alcohol and lists the different reasons he believes people may drink. When Kendrick explains that he drank because he wanted to fit in on verse 1, he raps, “that was my problem, I was in the dark room, loud tunes, looking to make a vow soon.” Was this vow, a literal vow to possibly leave with a love interest? Or possibly a vow to stop drinking after his difficult, alcohol fueled night? When he raps, “I see the crowd mood, changing by the minute and the record on repeat,” is he possibly stating that “the record on repeat” isn’t a record at all but the continual party and drink til’ your drunk attitude that seems to echo in the club scenes of the video? Kendrick additionally explains one of his references to swimming. See below. This music video adds another dimension to Kendrick’s introspective songs on alcohol consumption in youths. While some bloggers may be concerned his audience (hip-hop listeners) may miss the message, the video adds potency to his veiled argument by depicting a confused and “faded” Kendrick crashing and splashing into the metaphorical pool of liquor that surrounds his party life. The bridge before the final repetition of the chorus and hook makes references to “riding,” which could be construed as a metaphor relating “I ride, you ride” to “you drink, I drink.” Kendrick’s usage of gun terminology stems from his chaotic childhood community in which has described in the past as crime-stricken. Kendrick’s potent message on the dangers of binge drinking not only entertains but also changes the landscape of what can be traditionally expected out of commercially successful hip-hop artist. If you support music with a message, make sure to go out and buy Kendrick’s upcoming release next week. 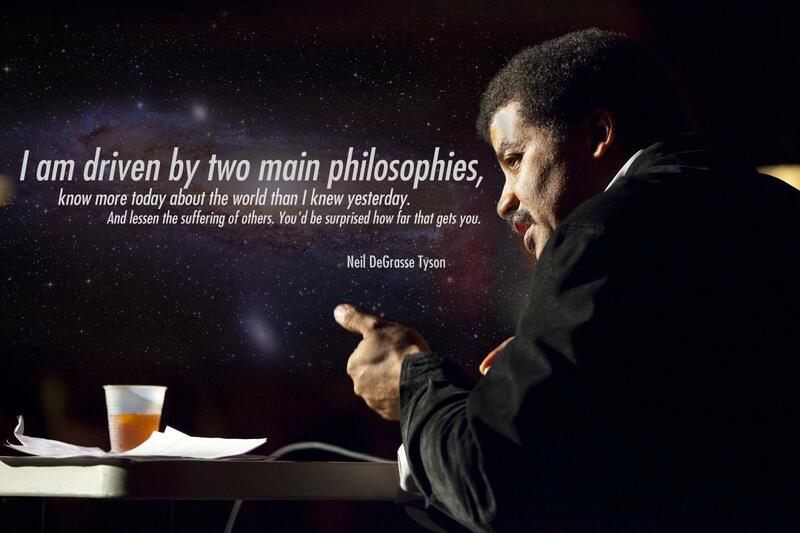 I absolutely adore Neil deGrasse Tyson… these videos pretty much sum up why. 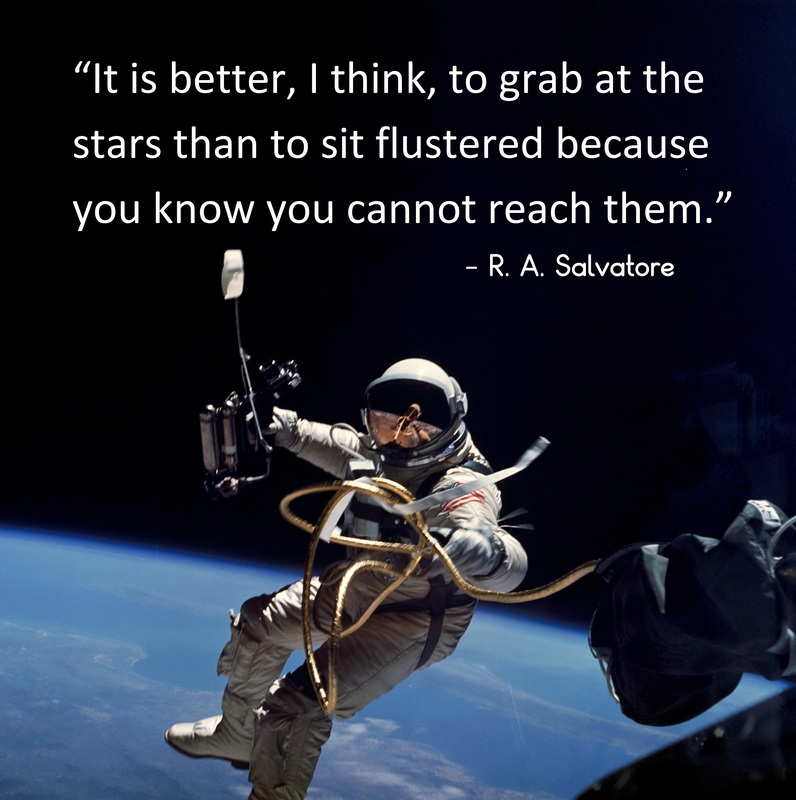 -Astrophysicist Dr. Neil DeGrasse Tyson was asked by a reader of TIME magazine, “What is the most astounding fact you can share with us about the Universe?” This is his answer. Follow Neil on Twitter or Facebook. 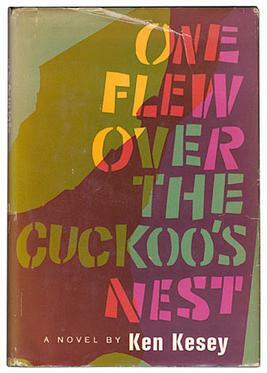 ___Ken Kesey heralded by many as a counter-culture hero of the 1960’s remains a classic American author for his contribution of One Flew Over the Cukoo’s Nest, released in 1962 and later had its film adaptation debut starring Jack Nicholson in 1975. ___In the upcoming 2012 Ohio Senate Race incumbent Senator Sherrod Brown and his re-election campaign has begun running a very clever ad titled, “Both from Ohio.” In the above 30 second YouTube video, Senator Brown stands next to the new Chevy Cruze and advocates that he has “fought to rescue the American auto industry when some were ready to let those jobs vanish.” In the video he appears with a shiny new red Chevrolet Cruze and claims (the datum) he helped protect 848,000 Ohio jobs. 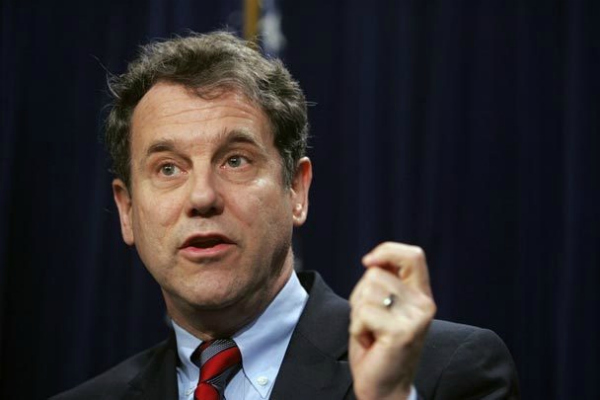 Sherrod Brown – “I’m Sherrod Brown, and this is a Chevy Cruze, we’re both from Ohio. The engine block is made in Defiance. The aluminum wheels, Cleveland. The transmission from Toledo. And its all assembled in Lordstown. ___The warrant of the political advertisement is pretty simple. Senator Brown is fighting to keep jobs in Ohio and the Cruze is a direct example of his efforts. 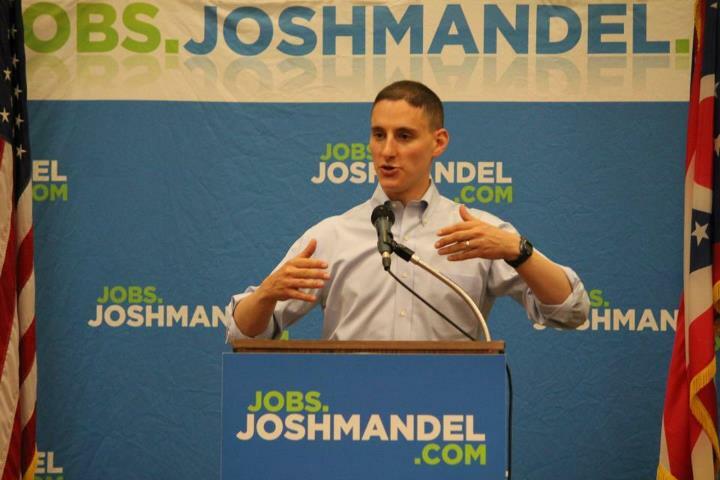 According to Factcheck.org’s May piece on the substance of the campaign ads leveled between Senator Brown and his challenger, Ohio State Treasurer Josh Mandel there has been quite a large array of untrue allegations. While Political Fact Ohio, has also issued numerous checks on the different campaign advertisements further research shows this is indeed a factual piece. ___The ad does not even mention Mandel and specifically heralds the achievements of Ohio’s auto industry. One interesting side-note, involves the integrity of the Chevys manufactured in the last couple of years in Ohio. Back in June of 2012, General Motors recalled 475,418 of its Chevrolet Cruze sedans that were built at GM’s Lordstown, Ohio plant from September 2012 through May 2012. The sedans were recalled to “modify the under-engine shield so flammable liquids are not trapped in the engine compartment.” Taking this into consideration, it does not change that General Motors is building cars in Ohio. ___Ultimately, the rhetoric of the ad is positive and points more at the candidate’s voting record on the Auto Industry Bailout. The campaign ad specifically uses logos with images of the candidate interacting with the car and its various parts. In giant words across the screen we see (the claim) the number of auto industry jobs “saved,” accompanied by upbeat music throughout the ad. At the end, the viewer is left with Senator Brown driving off with a close-up of the Sherrod Brown for Senate bumper sticker. The presentation and infusion of the Chevy Cruze plays into powerful rhetoric seen often this campaign season that the Democratic party is “moving forward” as seen quite literally in this car political advertisement. What do you think about the Brown campaign advertisement? Any thoughts? 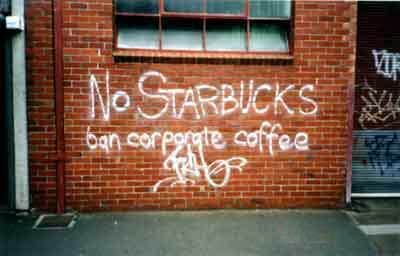 — –I know I am walking on thin ice here but I want to discuss Adbusters’ recent video campaign against Starbucks. For those that are unfamiliar with Adbusters, they are a Canadian-based, not-for-profit global network of people who want to lead “the” new social activist movement of our time. They are also most notably known for proposing and aiding the explosion of the Occupy Wall Street Movement. ___Anyways, back to the anti-Starbucks coffee video… they use American indie, dance-punk-rock band Sleigh Bells for the background music, show images of defaced Starbucks logo signs, and footage of a Good Morning America segment discussing the ridiculous size of the Trenta (the colossal drink that actually has more liquid in it then supposedly your stomach can hold in one sitting.) I would argue all the evidence used indicates they are clearly pandering to their base, which one could surmise is a more anti-consumerist, anti-corporate takeover everything, younger demographic. ___The main reason I dislike this video and strategy in general is that the argument seems… misdirected or just COUNTER-PRODUCTIVE. This is most apparent to me in their use of a snap-shot of a brick wall where someone has spray painted, “You ruin our neighborhood, we ruin your wall.” To me this “tag,” is misguided and doesn’t really accomplish anything in the grand scheme of things. When you consider how many times someone actually tweets “#nostarbucks,” I guarantee its used far more in a way to express someone’s disdain when they don’t have Starbucks in their current possession. The video was uploaded to YouTube in January 2011, and obviously has not changed the current American perception of coffee in our local cities. ___Personally, I love local, family owned and operated establishments. They tend to offer a unique feel and typically support local musicians and artists. The Adbusters video doesn’t cut it for me because I think there are way more efficient ways to get a message of “support local coffee shops” then the current video contending the Trenta is fattening and that you are essentially a sheep if you buy drinks from Starbucks. What’s your take on the video? Do you think a more successful message could have been advocated? Like Philosophical Swag on Facebook! don’t leave just yet! check out some other pages! More CONTENT. More ENTERTAINMENT. 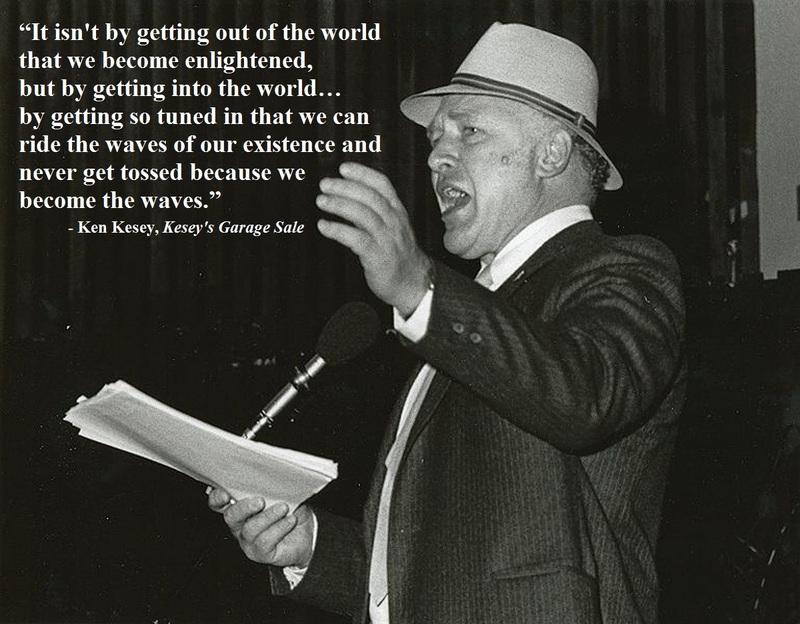 More Philosophical SWAG!